California | Where is Yvette? 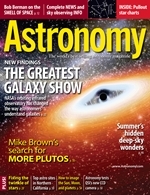 So what goes on at JPL, and why is a visit there so exciting? Well, in short, if you picture all the stuff NASA does, from human spaceflight to space telescopes and probes, JPL is the part that builds and runs all the unmanned scientific missions such as the Mars rovers. 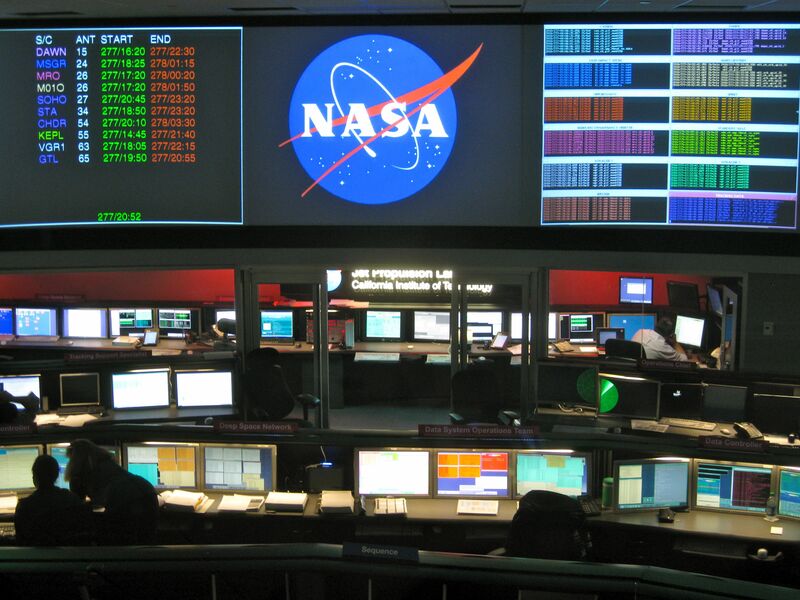 Virtually every single image of faraway planets that has made you stop and say “wow!” has passed through the control room pictured above, which is the heart of the Deep Space Network that detects signals from all those ambassadors from Earth millions or even billions of miles from home. Posted in America (United States Of), California, Science! 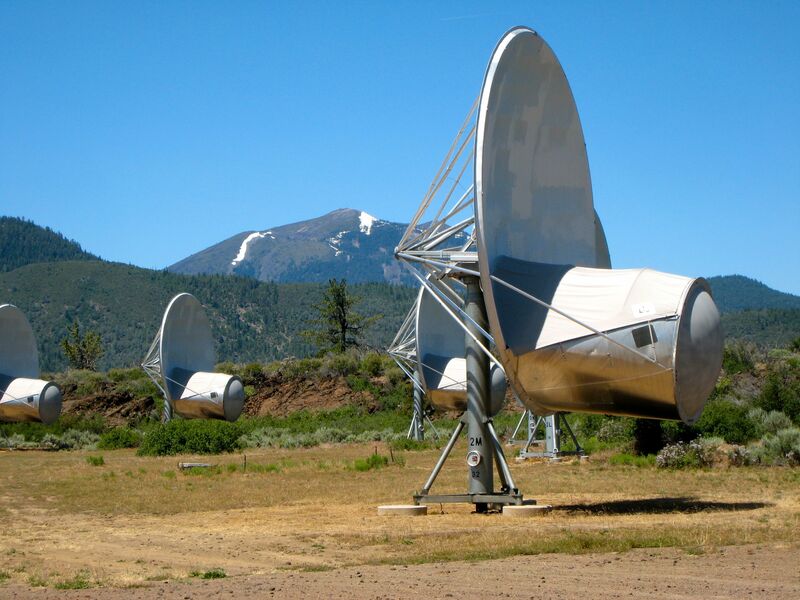 The Allen Telescope Array in Hat Creek, California is about a four hour drive from San Francisco. Lassen Peak, the snow-capped peak visible in the background, actually erupted violently in 1915 and was the last volcano on the continental United States to do so until Mt. St. Helens in 1980. It’s now a national park, sort of a mini-Yellowstone because you still have some thermal activity and acid lakes and such. Worth a visit if you find yourself in the area! Anyway, the much more interesting radio telescopes in the foreground! Paul Allen of Microsoft fame donated money for University of California-Berkeley and the SETI Institute to build a radio telescope array, which when I visited had 42 radio dishes but is supposed to have 350 when completed. It’s a rather interesting design because you can look at a large field of view (think the size of a galaxy) yet focus on signals from specific stars you think have potential for extraterrestrial intelligence based on a few factors. 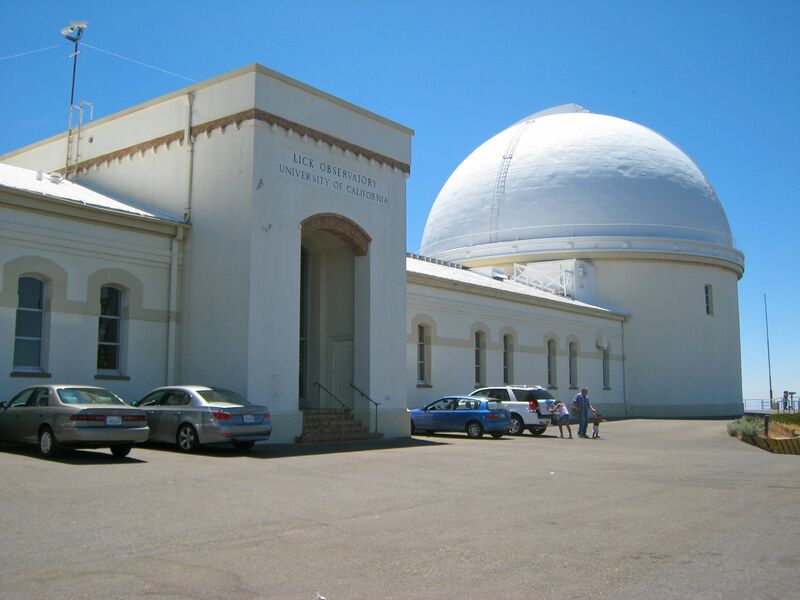 Thus the Berkeley people are happy because they can do radio astronomy in a rather unique way and the SETI folk are happy because they actually have a dedicated telescope to look for alien civilizations. I was at the array two summers ago because I was lucky enough to snag a summer research position at the SETI Institute under Jill Tarter, the person who inspired the Ellie Arroway character in Contact and thus had a picture of her and Jodie Foster in her office I was mildly jealous of. And no, we did not find aliens else you would’ve heard about it before me telling you now! The public is actually free to visit the array as well so feel free to stop by during normal working hours if you want a tour, but be sure to turn off your cell phone and other gadgets upon arrival. Radio telescopes are so sensitive that you can drown out important signals really easily, and that’d be awfully embarrassing if we missed E.T.’s call due to that!